Plus in pink is finished! 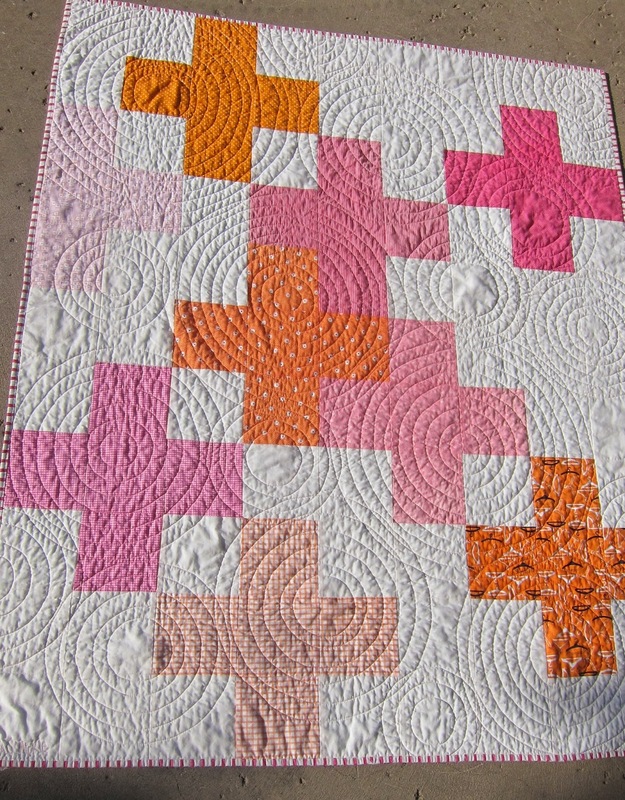 You can read about the quilting of "pink plus" back here. There's just something rich about concentric circles. It's worth all the time it takes to bury those threads. So darling! Congrats on the finish. Is that a special compass that won't poke holes in the fabric? The way you quilted this with the circles really makes this quilt. Love the contrast between the circles and the squares. I love that quilt!! The quilting is so perfect for it. Love the pumpkins too.